Sign #1: You've given up smoking your pipe because you want to actually be able to afford term life insurance. 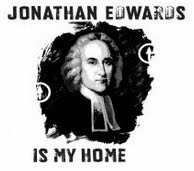 Sign #2: Your 'Jonathan Edwards is My Homeboy' shirt is faded and now simply reads, 'Jonathan Edwards is My Home." Sign #5: You find yourself warning newbies about 'the cage stage,' and then you find yourself reminiscing about terrorizing unsuspecting Arminians back in your day. Sign #8: Your iPod now has more sermons by Sinclair Ferguson than it does of Mark Driscoll. Sign #9: Drinking beer may still be a pleasure for you, but it isn't as cool as it used to be. Sign #10: You just had your child baptized. Sign #11: Your Ty Pennington hairdo is starting to look less Pennington and more Luther.